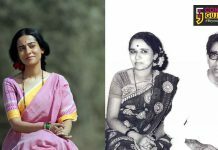 A year came to an end and we are now ready to welcome the New Year with lots of wishes in our minds and hope to fulfil our dreams. 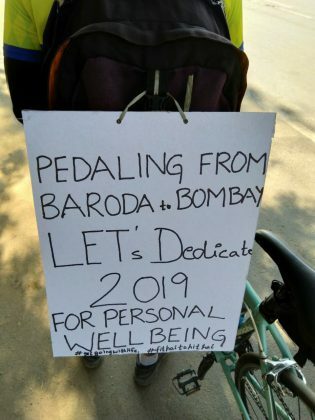 Everyone make resolutions every year to follow but somehow we forget to care about ourselves. 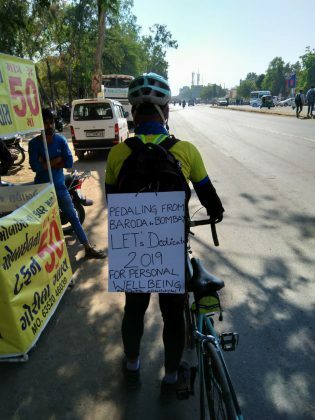 With such thoughts in mind a youth from Vadodara Zaheer Khan start pedalling from the city on the eve of New Year and reach Mumbai on 1st January and ends his journey at Marine Drive. 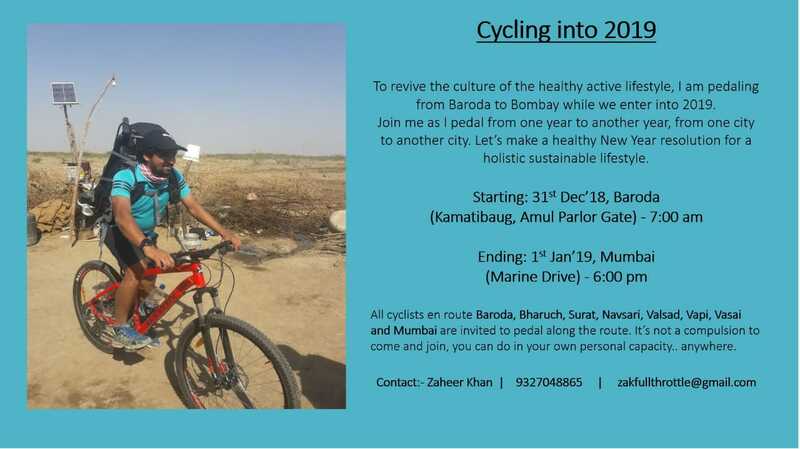 The message is to live healthy and make a New Year resolution for holistic sustainable lifestyle. 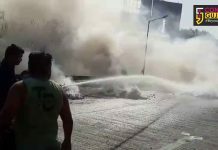 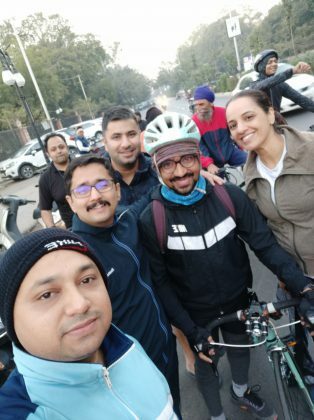 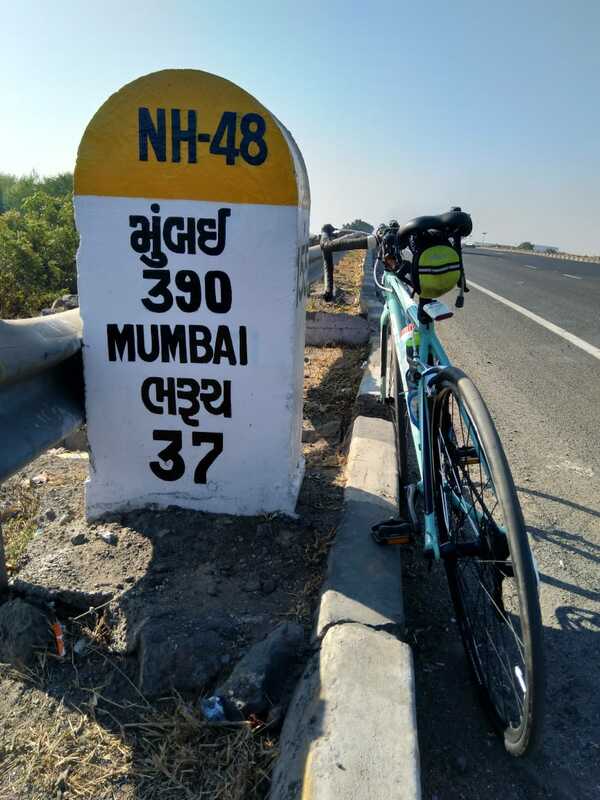 “I started pedalling from Baroda on the last day of the 2018 and ends in Mumbai on the very first day of 2019 at Marine Drive. We often neglect our personal well being and health which is essential in today’s hectic lifestyle. 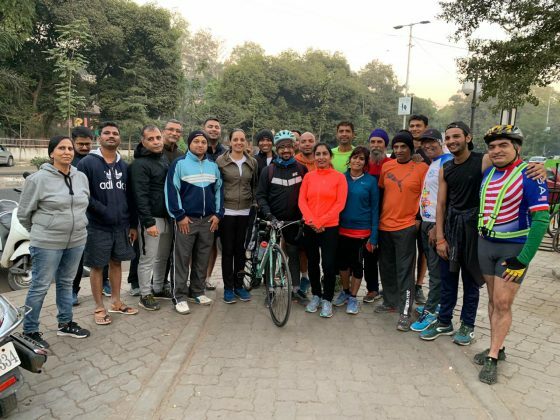 The message is loud and clear to enjoy the New Year with good health and make it a resolution to follow for the whole year,” said Zaheer. 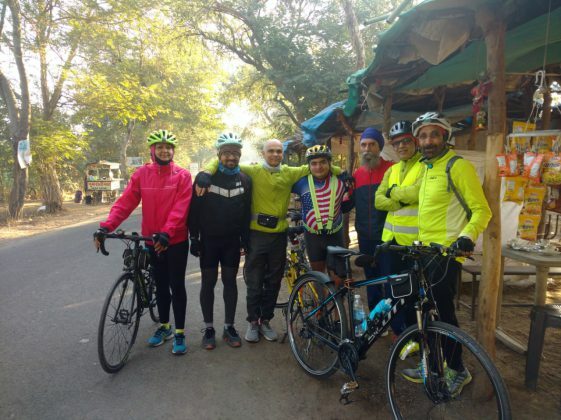 Zaheer received the support from fitness enthusiasts regular at Kamatibaug and thumbs up the initiative. Pedalling from Baroda he will be passing from Bharuch, Surat, Navsari, Valsad, Vapi, Vasai and reach Mumbai on 1st January 2019 at Marine Drive.